rick and i really like to eat, but i rarely blog/document these things! so i am going to start. 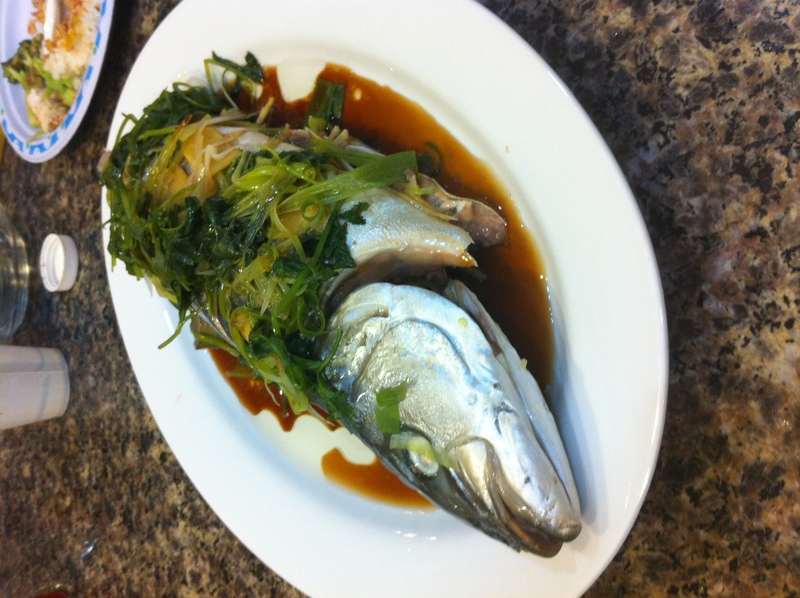 last night i made chinese style steamed fish. yellowtail was the freshest looking thing at don quixote’s, but unfortunately i didn’t realize they hadn’t de-gutted the thing! thank goodness for youtube (i knew i should have paid more attention after our family fishing trips). i stir fried some bok choy and mapo doufu (to be pictured another time) and we had a feast! Holy cow Alicia. You are a chef!!!! I will not be posting any pictures of my dinners. ha If only I knew about this talent at BYU. I would have made you make me something. Love ya.